With all the things you have on your Thanksgiving plate, the last thing on your mind is the Thanksgiving decor. However, while you might be trying to avoid Thanksgiving disasters, you don’t want your house to be unadorned when your guests arrive. Here are some simple ideas to decorate for Thanksgiving without effort. Outside You don’t have to worry about outdoor holiday lights just yet, but giving your outdoor space Thanksgiving and fall accents liven up your home and help welcome guests as they arrive for dinner. Daytime Line your steps with pumpkins — big or small, carved or whole, real or artificial — they give your porch a fall flair. With a leaf wreath, stacks of hay, mums, and strategically places leaves, they make a stunning, end of year display. After Dark Make your walkway inviting and safe for friends and family with solar garden stakes. Decorative or plain white lights, they illuminate the path to your door with charm. 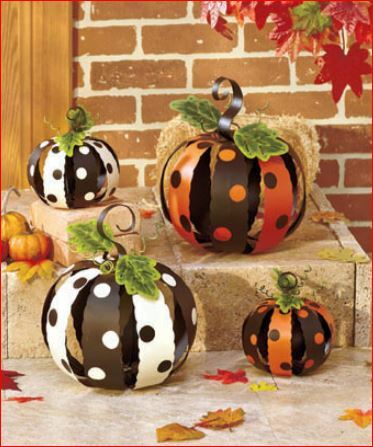 With a yard and porch armed with fall’s bounty guests will be prepared for a festive gathering inside. Inside When guests enter, you want the fall feel to continue. You don’t have to dress up the entryway for a grand entrance to make it a warm welcome — a few simple tweaks to your everyday decor can give it an autumnal aura. Living Room Guests don’t sit down at the dinner table as soon as they walk in, but they will want to sit and relax before the food is served. Adding a few fall colors to the living room helps guests unwind before filling up on turkey. Swap out your regular throw pillows for pillows in soft browns or fall designs. On end tables, add warmth with scented candles or vases with fall floral arrangements. 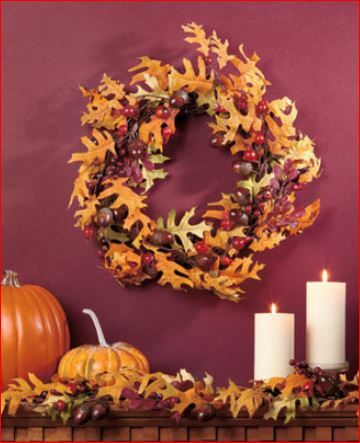 For empty or white spaces, add fall leaves — leaf wreaths aren’t just for the front door, they can dress up any wall space. If you’re feeling crafty, you can create a wreath made with felt leaves. Dining Room Decorations for the dining room don’t have to be too elaborate since the focus is on the food, but you still want to add some fall accents. 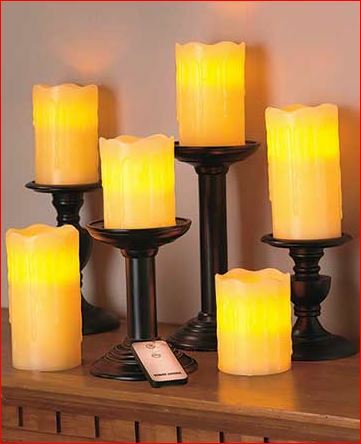 Lovely LED candles give a table and buffet a warm glow without the risks and messy wax of real candles. Line the mantle or top the curio cabinet with simple fall leaf arrangements — now is the time to collect the beautiful yellow, orange and red leaves for extra embellishments! For ideas and tips on how to build great Thanksgiving table decor, check out our article on creating a Thanksgiving Tablescape. 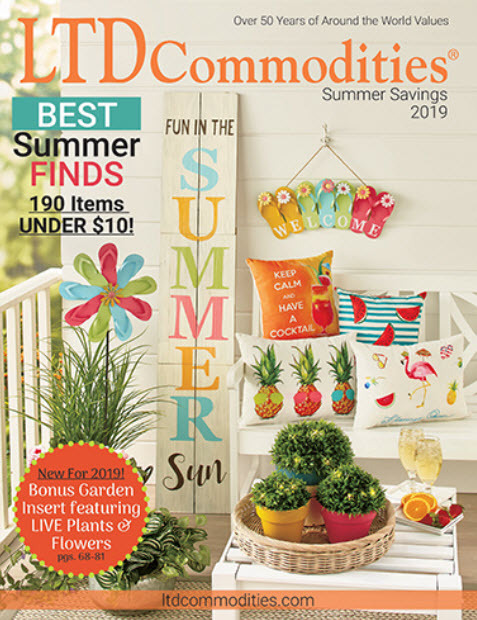 Whether you’re dressing up your dining room for Thanksgiving or you need ideas for Christmas decorations, LTD Commodities has a wide variety of decor to give your home the warm holiday welcome as you usher in winter.